States may have less money these days, but they are becoming more transparent about how those funds are being spent. That’s the conclusion of a new study by the U.S. PIRG Education Fund called FOLLOWING THE MONEY 2011. 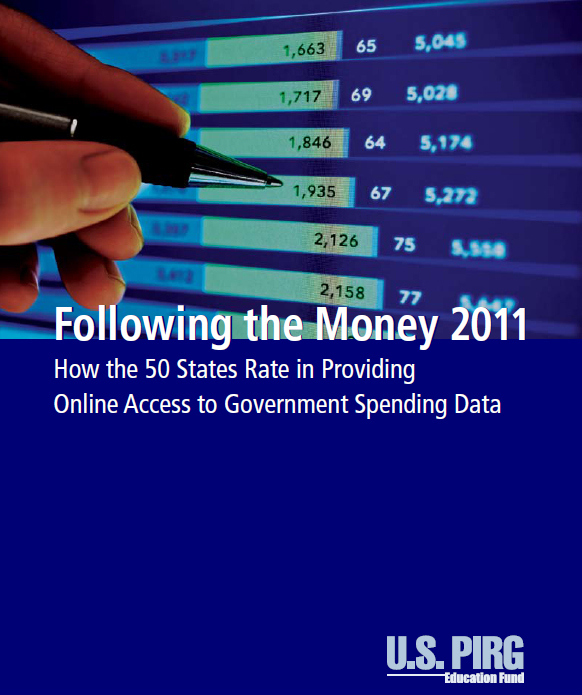 The report is USPIRG’s second annual ranking of the relative performance of states in providing what it calls “checkbook-level” info through online databases. The focus is on three categories of spending: contracts with private vendors, economic development subsidies and the activities of quasi-public agencies. USPIRG is not interested in plain-vanilla disclosure. Its focus is on Transparency 2.0—“comprehensive, one-stop, one-click” websites. USPIRG cites nine states as leading the way in advanced openness. The highest rated states are Kentucky and Texas, which are given a grade of A; Arizona, Indiana and Louisiana with an A-minus; Massachusetts with a B-plus; North Carolina with a B; and Ohio and Oregon with a B-minus. Thirty-one other states are described as “emerging”—a euphemism for mediocre disclosure—and the remaining ten are labeled “lagging,” which in nine cases means they have transparency sites lacking basic features such as vendor-specific data. The remaining state, Maine, is said to have no public site and thus could not be rated. According to USPIRG, states are making significant progress. The report points to 14 states that created new transparency portals in 2010 or made significant improvements to their existing site. USPIRG encourages more states to follow suit by pointing out that creating the sites is not an expensive proposition and their existence can even save money. This entry was posted on March 18, 2011 at 4:24 pm and is filed under Disclosure. You can follow any responses to this entry through the RSS 2.0 feed. You can leave a response, or trackback from your own site.